Back in February, we introduced Gerhard Roither as the latest editor to publish arrangements for cello ensemble with Ovation Press. 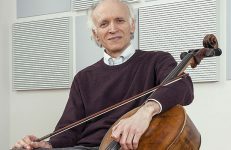 Mr. Roither had published two of his works originally written for the 12 Cellists of the Berlin Philharmonic, one of the world’s most highly regarded cello ensembles. Today we are thrilled to sit down with Mr. Roither to discuss these scores and more. A native of Germany, Gerhard Roither was born in his homeland’s capital of Berlin in 1932. He studied violin with M. L. König von Kleist and theory and composition with Gotthold Frotscher. 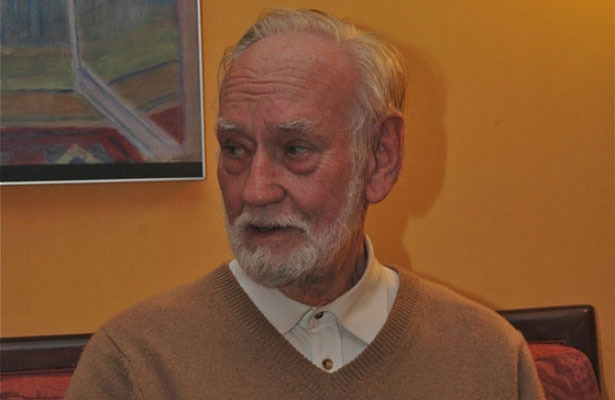 Mr. Roither has been a member of the Deutsches Symphonie Orchester Berlin (formerly the RIAS- and later Radio-Symphony Orchestra Berlin) for over 40 years, as well as having been a member of the Fournes String Quartet from 1959 until 1970. Ovation Press: Ovation Press is very excited that we had the opportunity to publish your wonderful arrangement of Seven Spirituals. Having been written for the 12 cellists of the Berlin Philharmonic, your arrangement shows an incredible knowledge and sensitivity to all the possibilities of tone, range, and color that a cello ensemble presents. Can you give us some insight into what inspired you to make this arrangement? 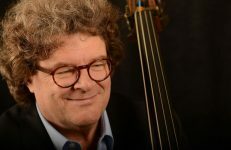 Gerhard Roither: While in Salzburg on a tour with the Berlin Philharmonic in 1972, some of the cellists in the orchestra told me that their very successful and recently founded “12 Cellists Cello Ensemble” needed some short pieces for encores. I remembered a record that my mother-in-law had often played for me with four wonderful African American vocalists on it singing spirituals. 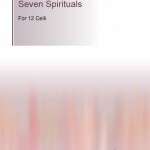 That was the idea and inspiration for the Seven Spirituals that I then wrote for the Berlin Philharmonic cellists. Ovation Press: We’ve been looking for recordings of the full piece, but so far we haven’t been able to find them all in one place. “Deep River” is on the Berlin Philharmonic cellists’ album Round Midnight. 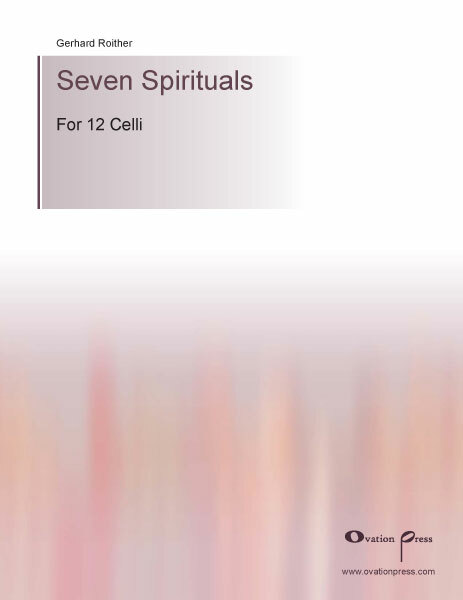 Have the 12 cellists recorded all seven of the spirituals? If they have, where could one find that recording? If they haven’t, have you had the opportunity to hear them perform all seven? Gerhard Roither: Yes, I have. All seven were recorded at once by RIAS-Berlin (now Deutsches Symphonie Orchester Berlin). 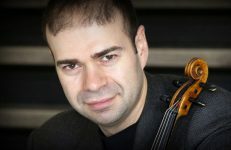 Ovation Press: You are of course a violinist in addition to being a composer of string quartets and other varied ensembles. As a violinist, how did you approach this cello-only project? Were there any special considerations that you had when writing for a cello ensemble? Gerhard Roither: My relationship to the cello is rooted in two sons of mine who have become good cellists. Also, in the past I have had to write some cadences for cello concertos – such as Haydn D [Major], which was played very often; Haydn C [Major]; Volkmann; C.P.E. Bach. And, whenever I wrote cadences, I made it a point to always be in contact with the soloists. Ovation Press: Since this arrangement was specifically for the Berlin Philharmonic cellists, did you write the parts to match the personalities or playing of the individual players in the section, or was your focus on the overall effect of the combined parts? Gerhard Roither: I thought to myself: there are twelve exceptional musicians, each one capable of masterful artistic playing; and in addition there is a group, belonging to a first-rate orchestra. There was a great amount of familiarity among the musicians. They knew each other very well, they were all chamber musicians, and they all had a high level of musical intelligence. In making the arrangement I tried as much as possible to write 12 distinct parts in which it was necessary for them to play together, in sync, to truly bring the sound out. Ovation Press: What were some of the specific challenges you encountered when you started to translate the spiritual form to a cello ensemble? Gerhard Roither: The religious feeling and intensity of the spirituals in the singing of a human voice… that was a challenge to recreate in the cello. I took the melodies from some old songbooks and a handwritten transcription of Songs from Alabama. (I like to set the words to the notes.) Having and understanding the meaning of the words can impact the meaning of the music. Ovation Press: We string players like to think that we all have a natural affinity for one another, and in doing so, feel a certain understanding of the other instruments in the string-playing family. That being said, there’s a big difference between, say, a violin ensemble and a cello ensemble. What qualities does a cello ensemble have that makes it different from another all-instrument ensemble? Gerhard Roither: The cello is the “all-around” instrument of the string family. It’s able to be soprano (marvelous – not too much vibrato), alto (yes – also with the vibrato), tenor (extremely delightful), and last but not least bass (perhaps the “Heel of Achilles”). Sometimes we can even use it as a double bass. (Please, always know if you are the lowest one!) In other words, the cello can take on the entire scale of the human being… of human singing. And with that pizzicato, you essentially have a great harp! 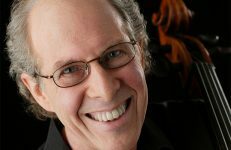 Ovation Press: With a 12-voice ensemble, the term “arrangement” seems like too small a term for what you actually needed to do–it’s really more like orchestration! Are there any specific composers that have inspired you with their work in orchestration? Gerhard Roither: Orchestration means that melodies bring in many colors, shades, dynamics and kinds of sound. It can be in groups, small or big. It can be tutti or solo. Also the same sound can always be changing, especially when you consider where you hear it from: if it comes from left, right, behind, or in front. As far as influences by other composers… it’s safe to say that I was influenced by many composers, but it would be difficult for me to pick which ones had the greatest influence. 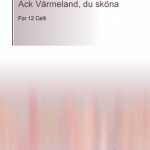 Ovation Press: Your arrangement of the beautiful Swedish folk song Ack Värmeland, du sköna is also a very beautiful. Can you tell us a little about that? Gerhard Roither: It was made for an occasion, for a performance in honor of the Swedish Royals in Stockholm. I love these beautiful Folk Songs, with that special Scandinavian feel… a cool refined feeling, imitating a choral scene. 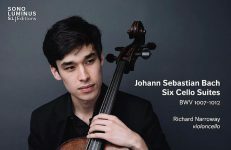 Ovation Press: We at Ovation Press are delighted to be able to offer these beautiful, masterfully arranged pieces to cellists all over the world–we hope that many cellists will find their way to these gems on the Ovation Press site. Thank you so much for your great contribution! 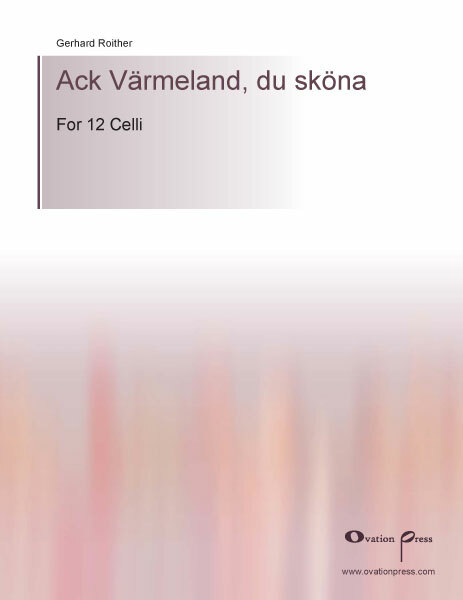 In addition to these scores, Mr. Roither has also released a copy of Schumann’s Romanze for 12 celli. To learn more about him and see his complete list of scores published with Ovation Press, visit Gerhard Roither’s editor profile.